One of the freshest, modern ways of making your hair fashionable is through intricate styling. Enter Nunu Dreadlocks in Portland. Styled dreadlocks are actually entwined coils of hair that are intentionally formed through the aid of hair experts and stylists. Different methods can be used on different hair textures. These include such techniques as ‘back combing’ (a way of combing hair from scalp to tip causing the hair to be tangled), crocheting, comb coil twists, and the classic, palm rolling. It can take anywhere from 4 to 12 hours depending on your desired end result. The method used, length of hair, dreadlock thickness/diameter, and hair texture all factor into how long the process will take. The question is, how do you get the best, most functional dreadlocks and how much will it cost? There are the common concerns people have when contemplating dreadlocks. Here are some guidelines which will help. 1. Your chosen salon should have a reliable website with the following details: phone number and customer support. These are needed to provide easy communication. 2. Dreadlock-specific services should be emphasized: frizz control, dread separation and root work, tip rounding and dread lock extensions. These are the things that you should look for because your dreadlocks will require upkeep to look their best. 3. 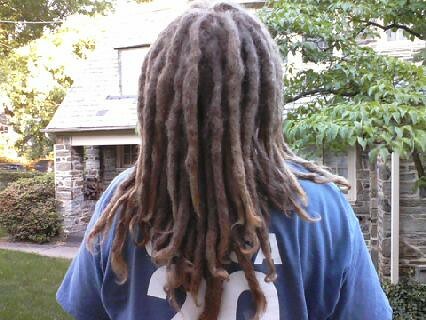 Different styles of dreadlocks like a lock-hawk, nutty twist, and dread brunches should be introduced. In addition to this, unique fashion tips related to dreadlocks should also be included. In actuality, you can put designs on your entwined hair. Clips and accessories, straps, ribbons, and barrettes are the best additions to provide a fashionable look. 4. Maintenance is a must. Your chosen salon should educate you about some basic problems in maintaining your locks and the best solutions for them. The most common problem is frizziness. You cannot avoid it; you can, however, go to your salon for your 3 month maintenance and they will fix it. But in the meantime, you need to control it as recommended. You should not use any conditioning agents because it can loosen your dreadlocks. Tightness is another visible problem. A dread can loosen when exposed to water and, as a remedy, you should dry it using a hair dryer and very carefully with a towel. 5. Your salon should have products specifically designed for dread maintenance (like special shampoos). 6. The price should be right. Every high quality hair procedure is accompanied by a price, but you need to understand that this type of hair styling takes 4-6 hours. Experts will use some different methods in order to produce entwined hair. 7. “Highly recommended.” You should go to the best dreadlock stylist in Portland, Oregon. Someone who is highly recommended by their previous customers. You can ask your relatives and friends about this, or you can browse the internet about different sites with dreadlock services. Choosing the best and most reliable salon to provide dreadlock services is not difficult. Follow these tips before selecting and you will be satisfied with the results.